If you have missing teeth, you are well aware of how much of a hassle they can be. Missing teeth make it difficult to chew your favorite foods, they affect your speech, and they can even change the shape of your face. Dental implants are the gold standard when it comes to replacing missing teeth. These remarkable prosthetics look, feel, and function just like your own natural teeth. At Dr. Gray’s Edmond, OK dental office, we can manage your entire implant placement procedure, saving you time, hassle, and money. From start to finish, you’ll be in the hands of a dentist you know and trust. The implant itself is a small post made of titanium (a biocompatible metal) that is surgically placed into your jaw bone. Once the area has healed and the implant has integrated with your bone, we have several options for restoring the implant, depending on your specific needs. If you are replacing a single missing tooth, we can restore your implant with a lifelike, natural-looking crown. 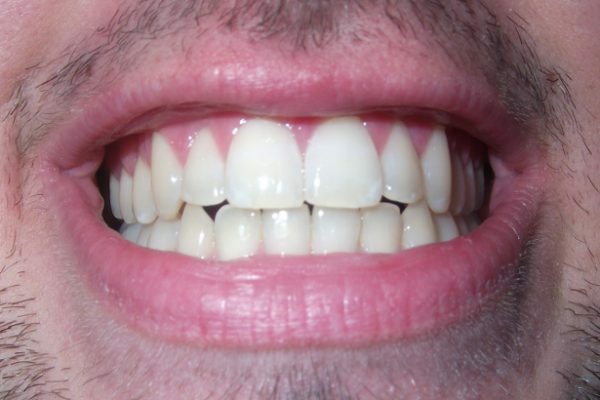 If you are missing a few teeth, an implant-supported bridge might be the right option. And if you are in need of dentures but worried about stability and security, we can discuss implant-supported dentures that “snap” into place and don’t budge. Dr. Gray will examine your teeth and your oral health to determine how best to approach dental implants. When you lose teeth, you begin to lose precious dental bone as well because the bone and your roots have a mutual supportive relationship. If you’ve started to lose bone, you may think that you are not a candidate for implants, but this is not necessarily the case. We can actually replace lost bone with bone grafts, which can also be done right here in our office by Dr. Gray. We will review all the factors in your case and give you an estimate so that you can make an informed decision. The only way to find out if implants are the right choice for you is to schedule a consultation appointment with Edmond dentist Dr. Philip Gray. We offer dental implant consults for just $99. These consults include a full examination and even the x-rays needed for Dr. Gray to provide a professional recommendation and create a treatment plan. We believe that you can have modern, high-tech dentistry at an affordable price. Call today to schedule your dental implant consultation with Dr. Gray.